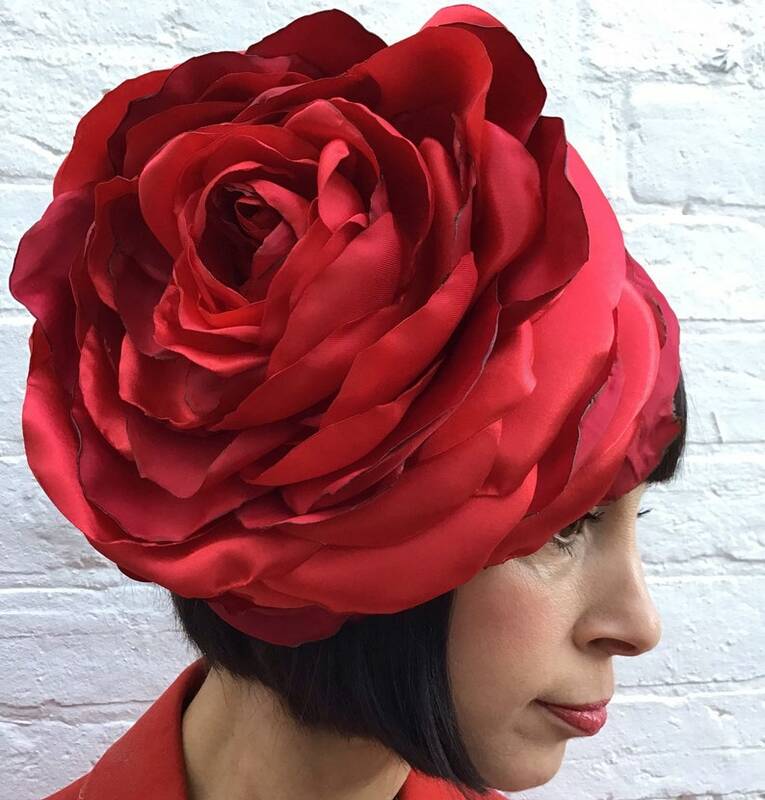 Giant red flower headpiece, handmade out of recycled fabrics in shades of box red. It has been hand cut and shaped by myself using clever stitches to look realistic. And is aged and distressed to give it a vintage antique look. This flower would be perfect for the races, a wedding or special event. It measures 10 inches across. It is backed with a circle of red recycled suede. The flower in the picture is the actual flower you will receive. This flower is ready to ship now.